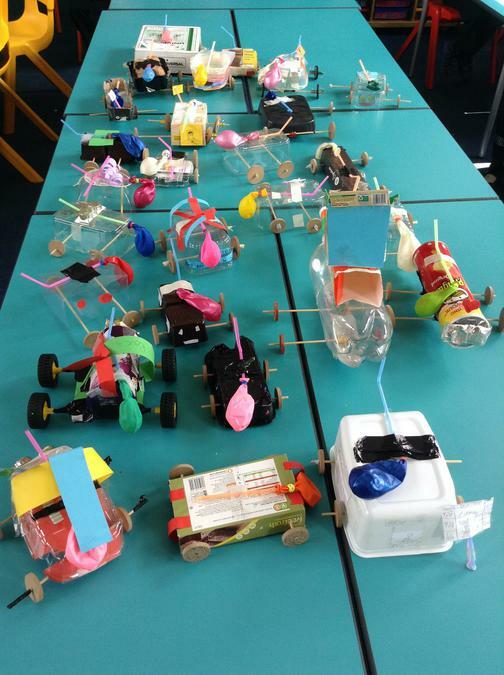 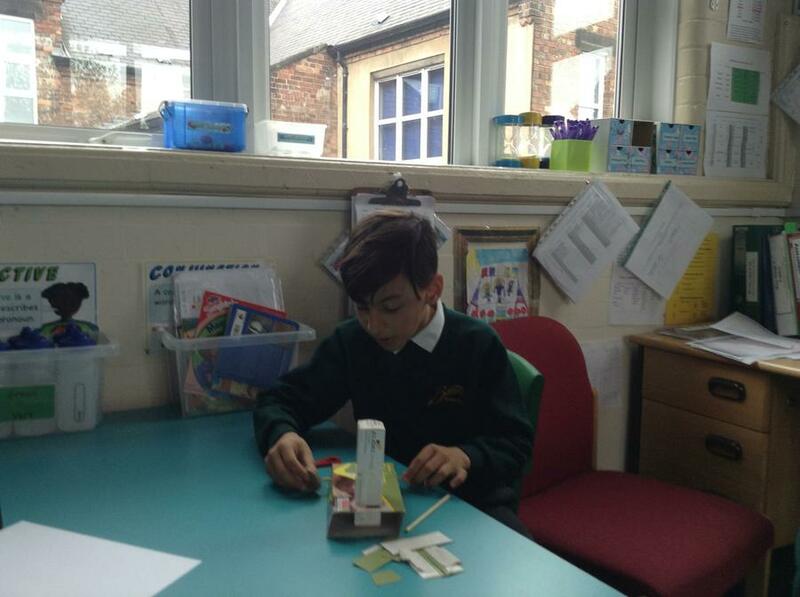 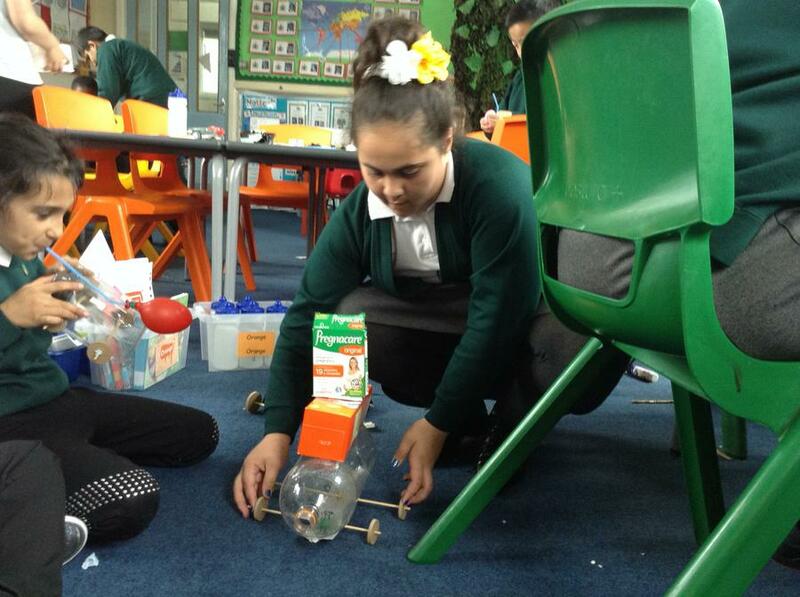 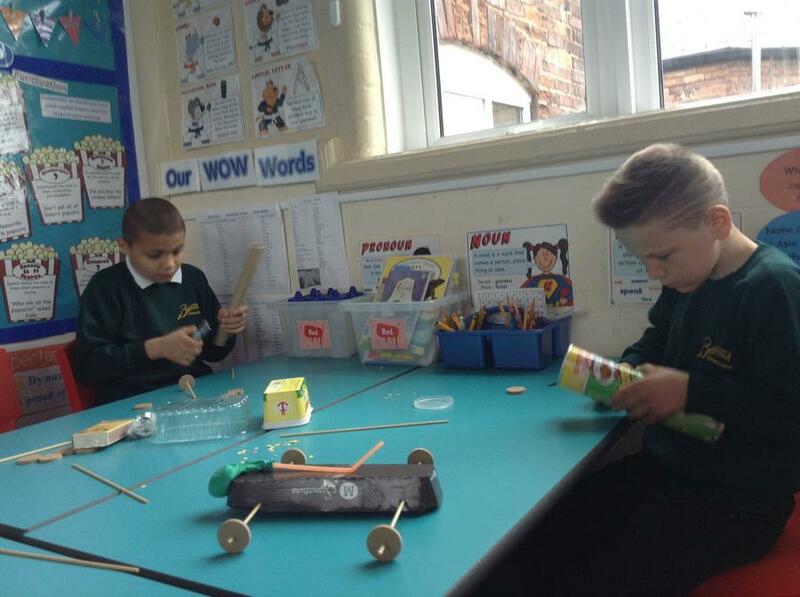 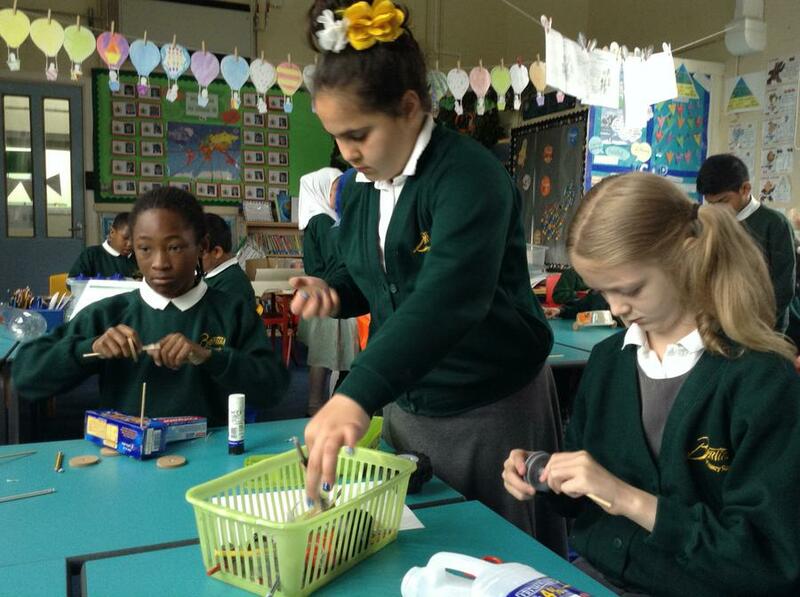 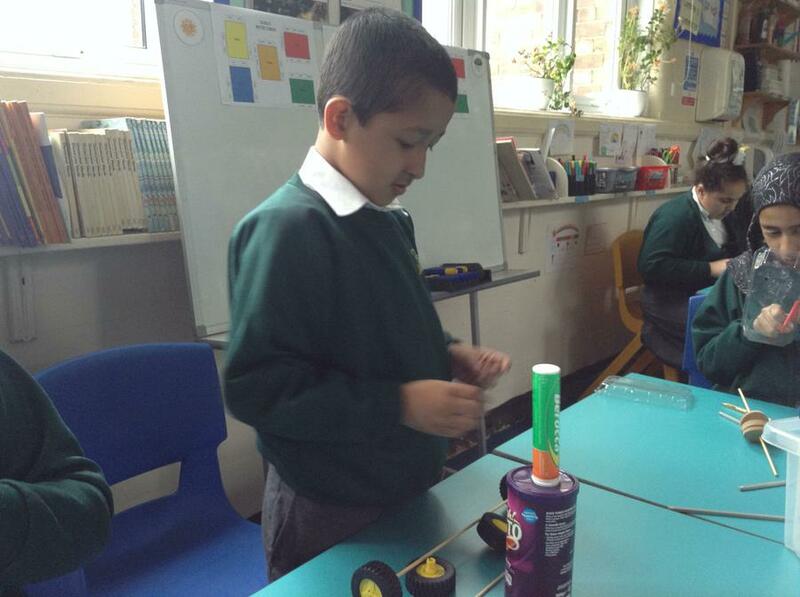 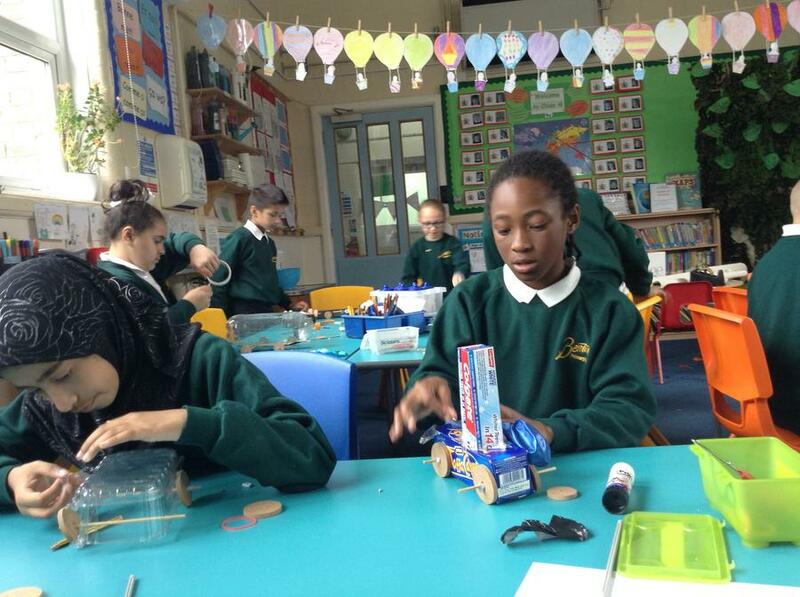 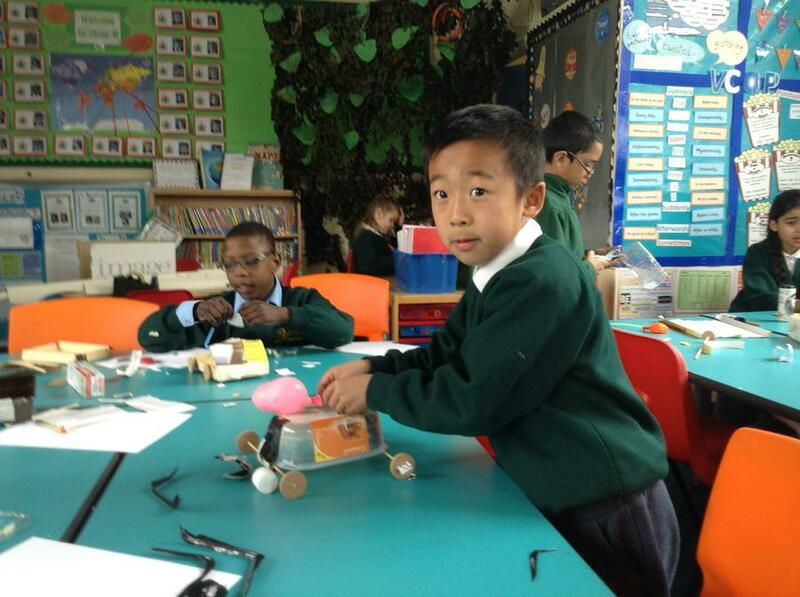 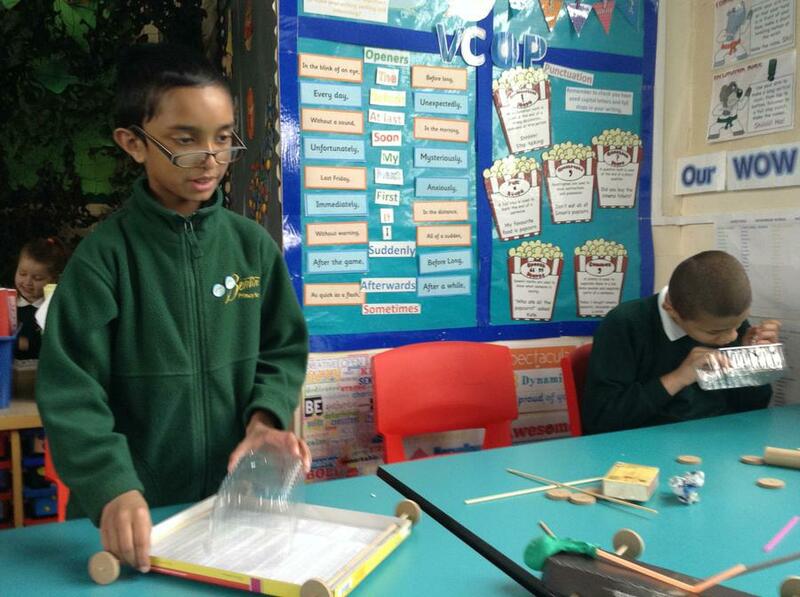 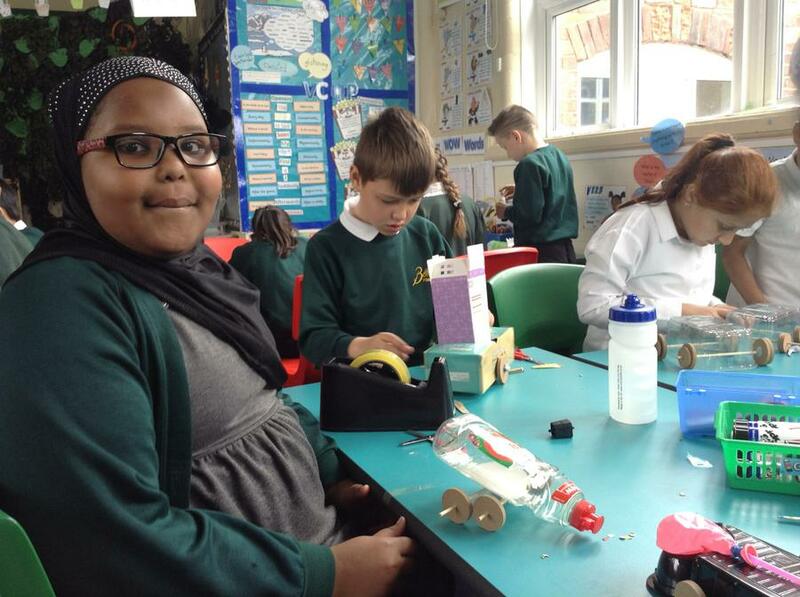 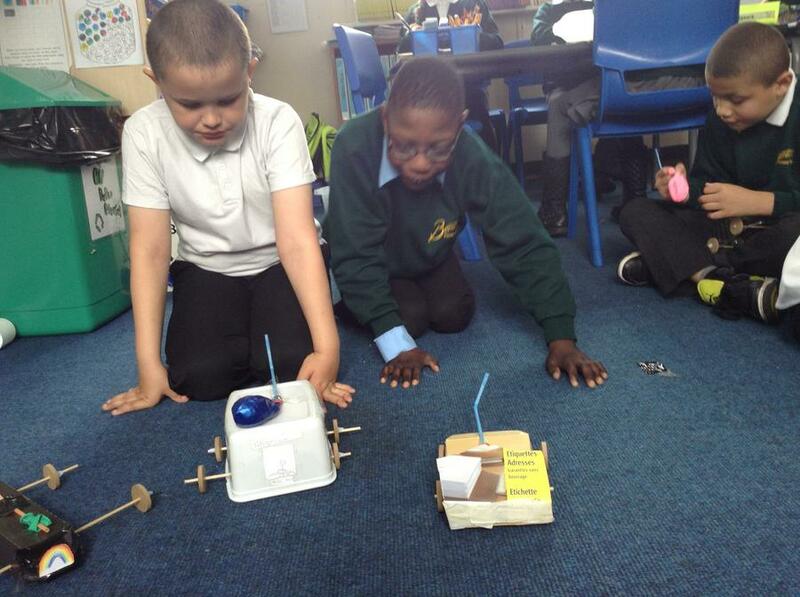 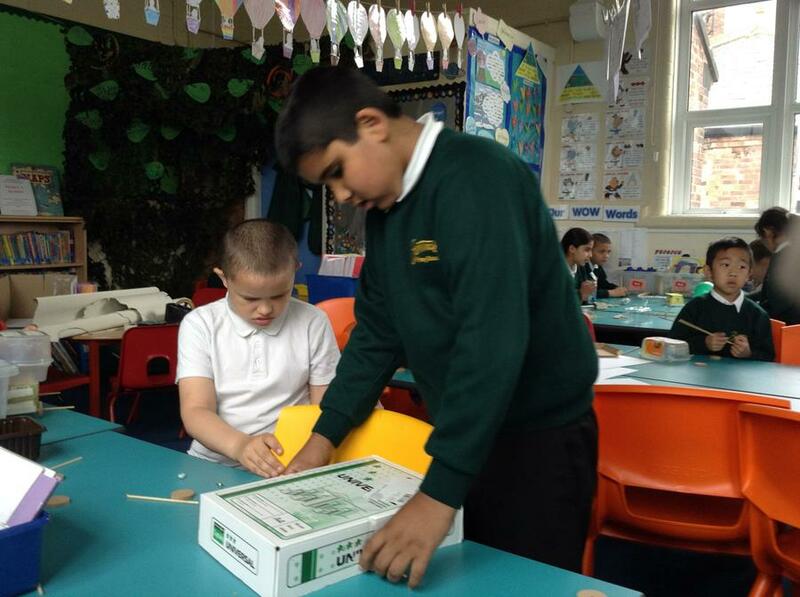 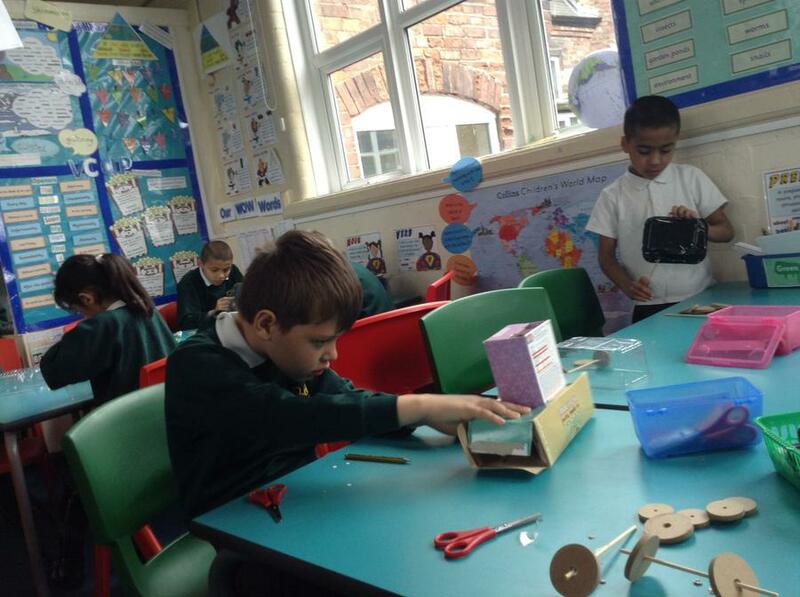 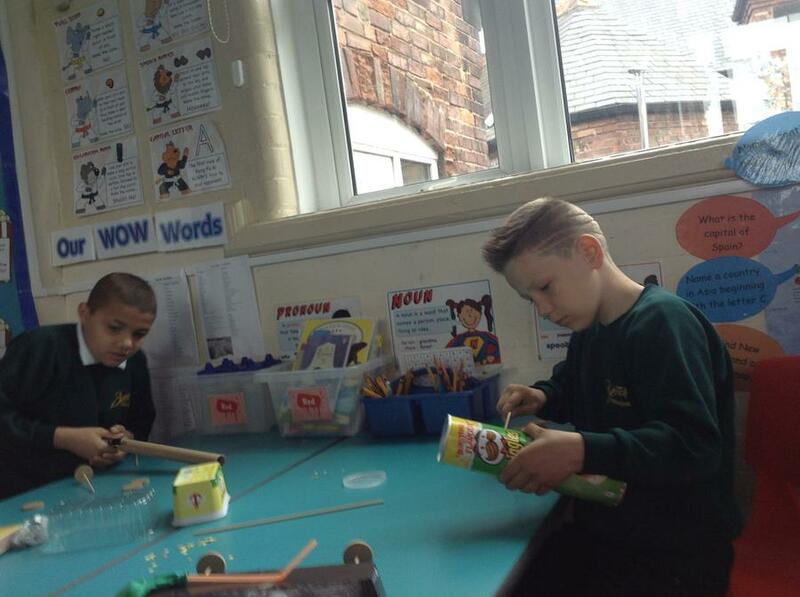 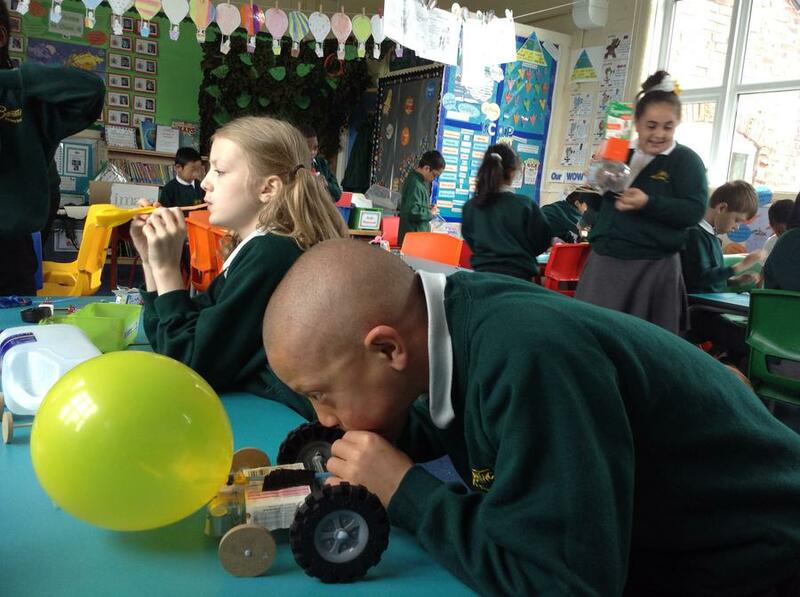 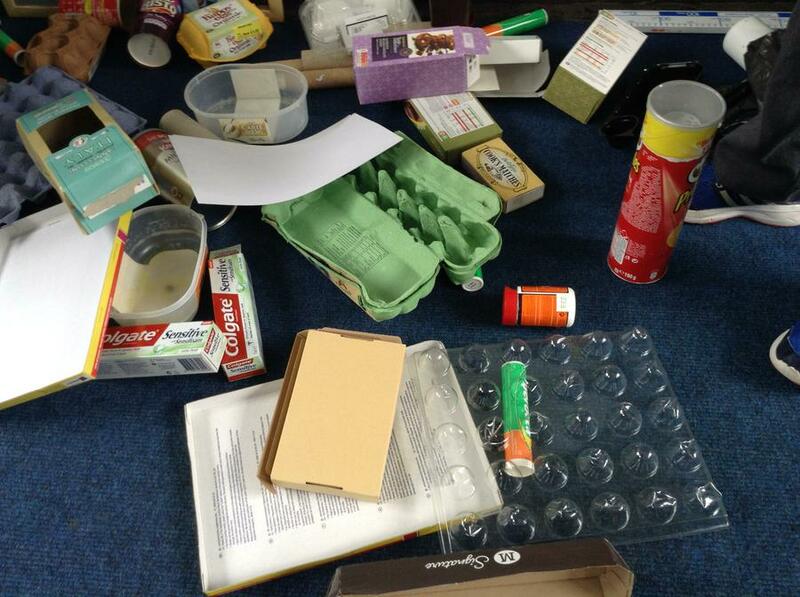 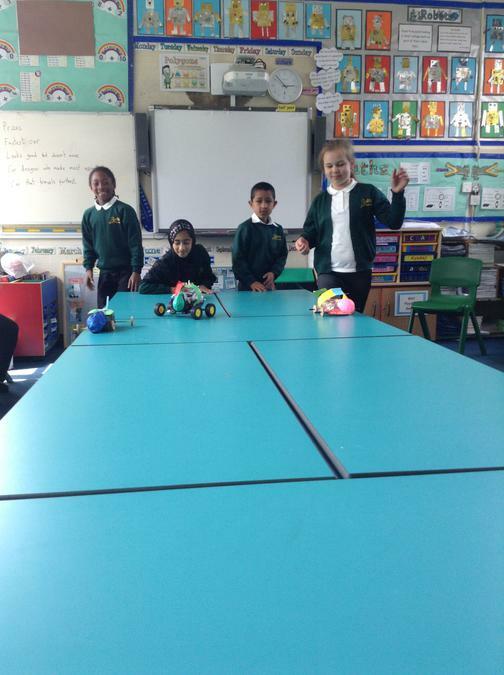 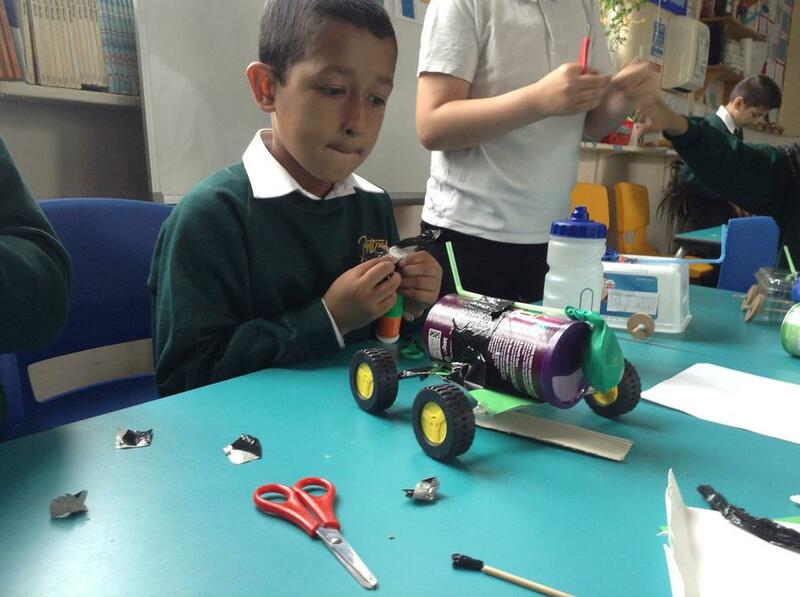 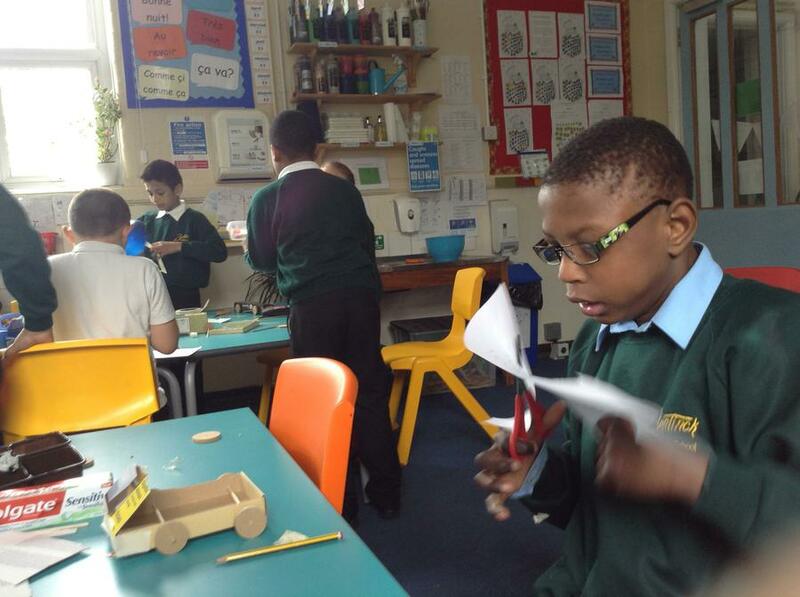 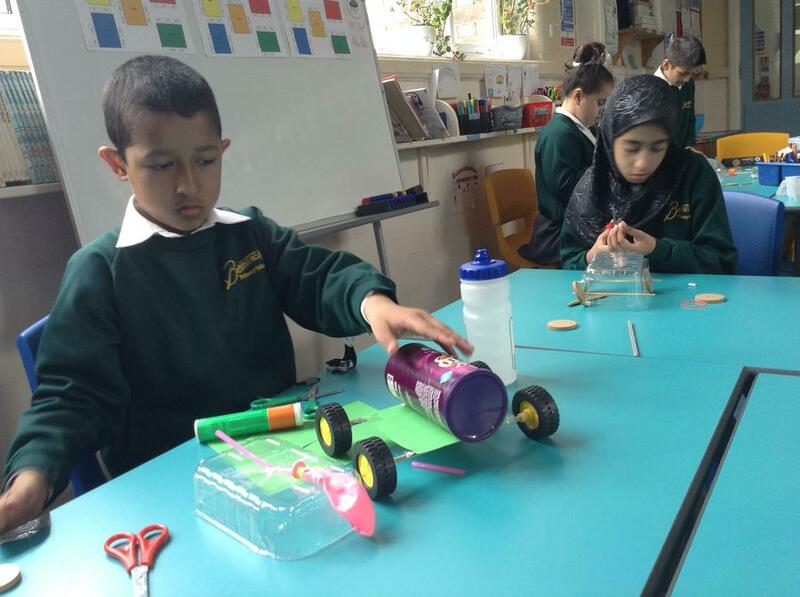 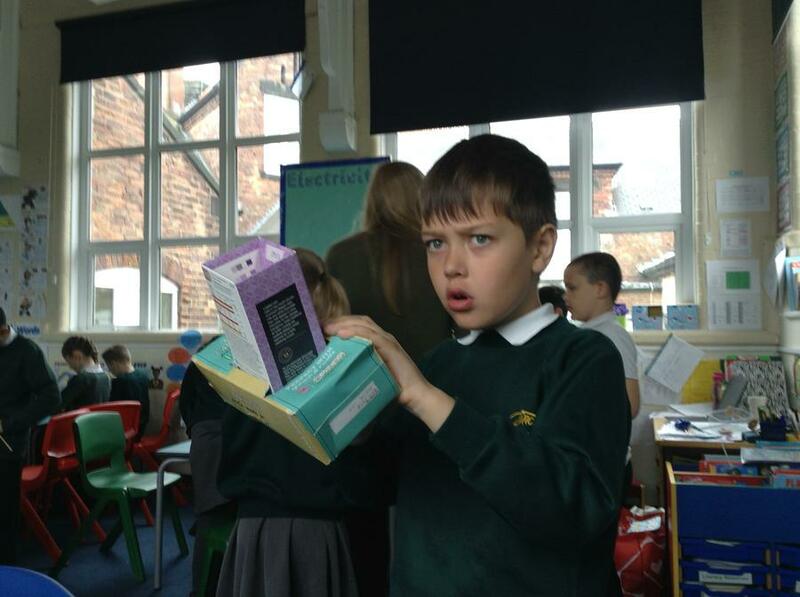 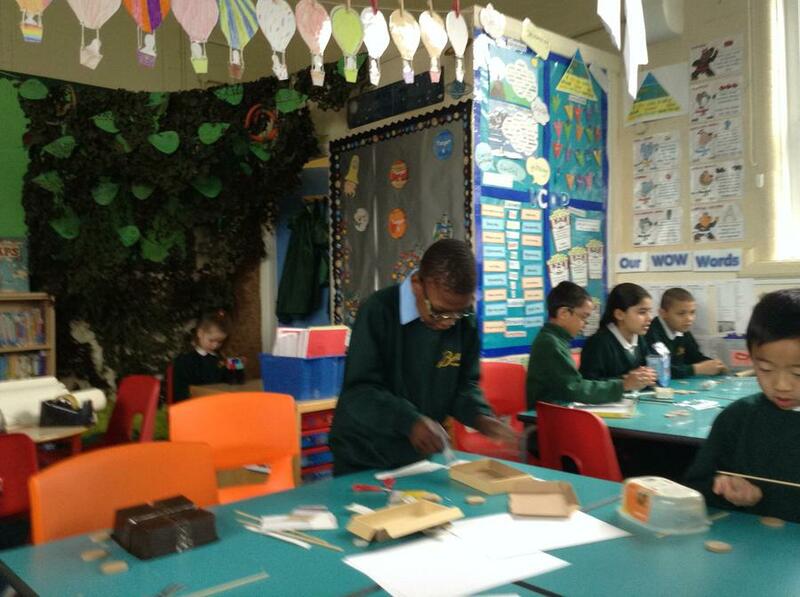 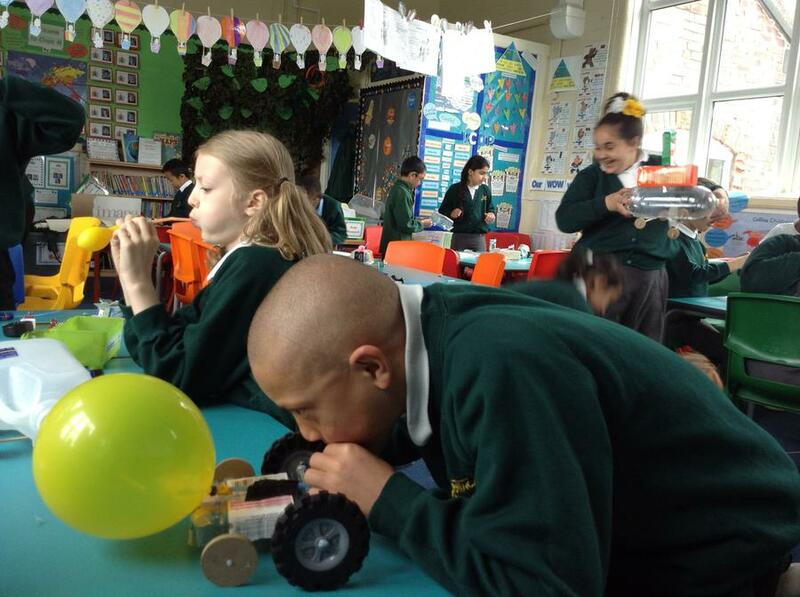 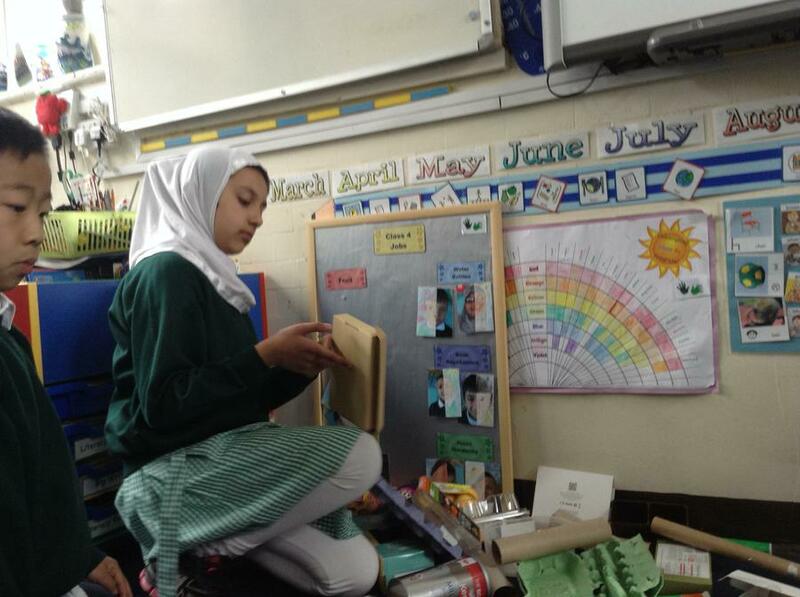 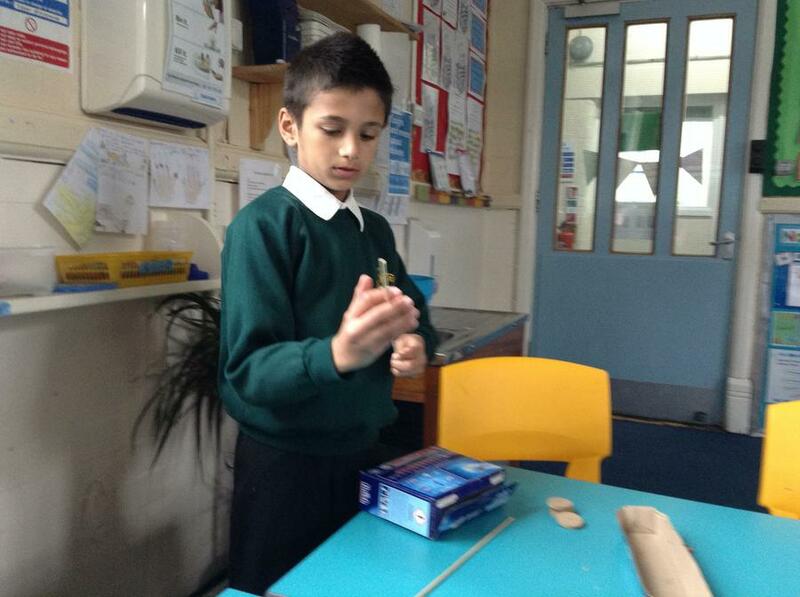 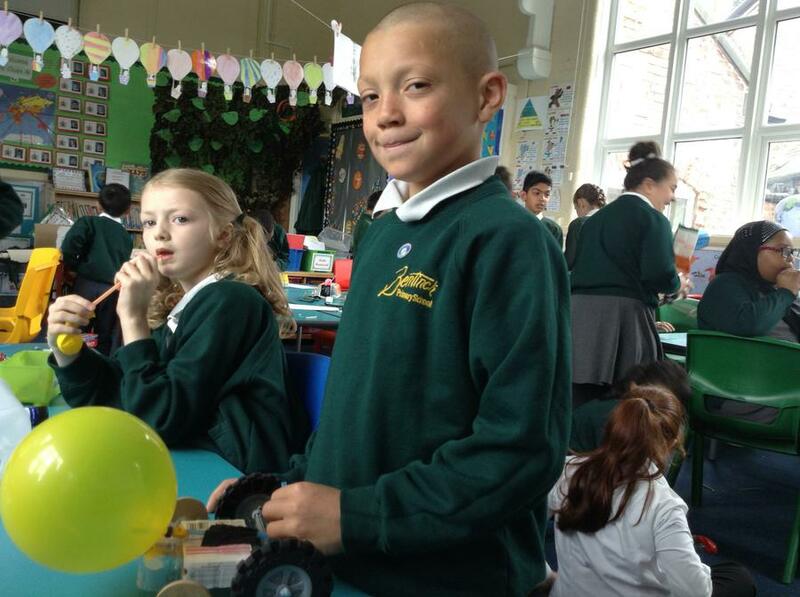 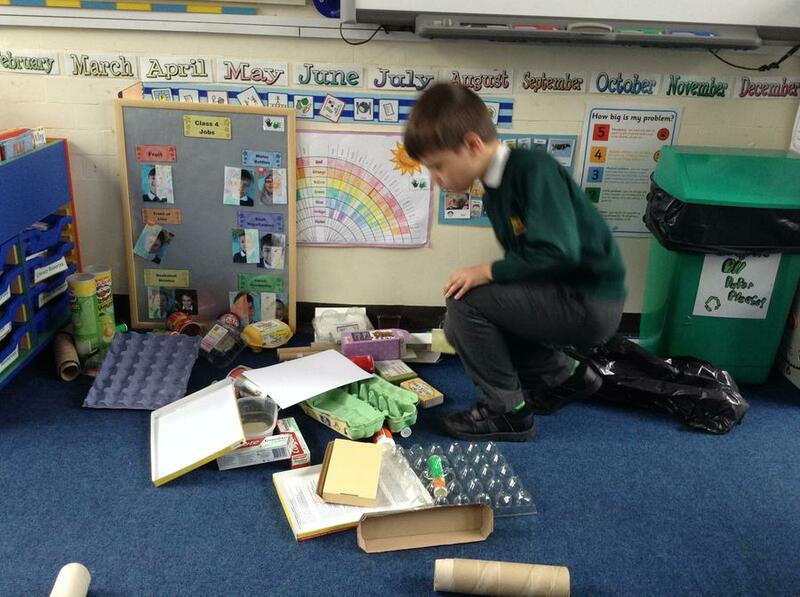 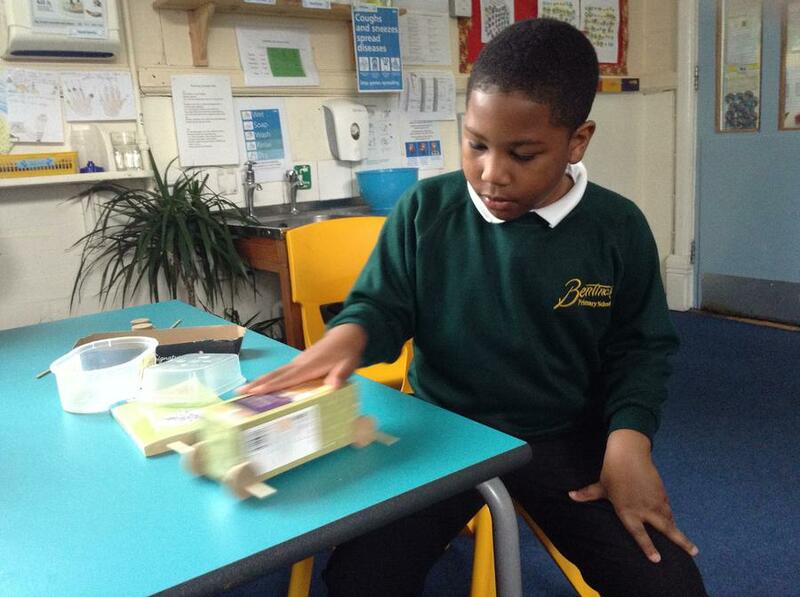 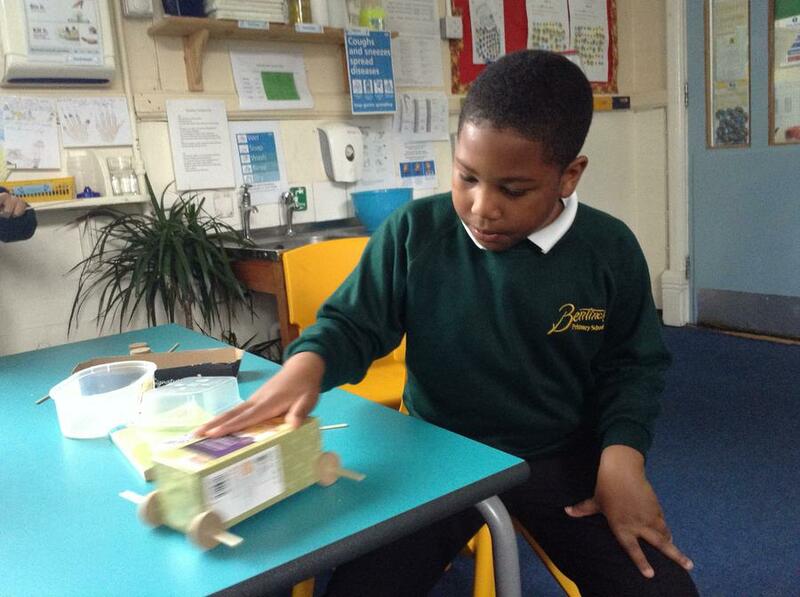 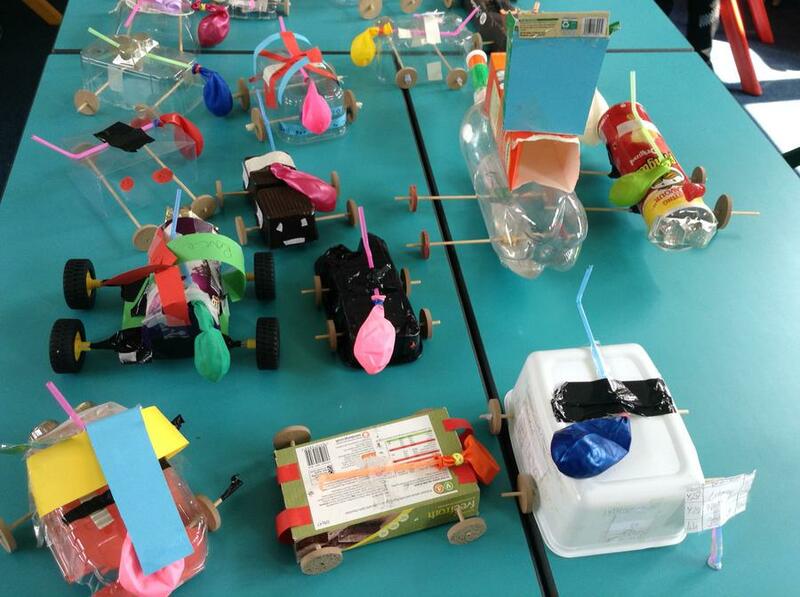 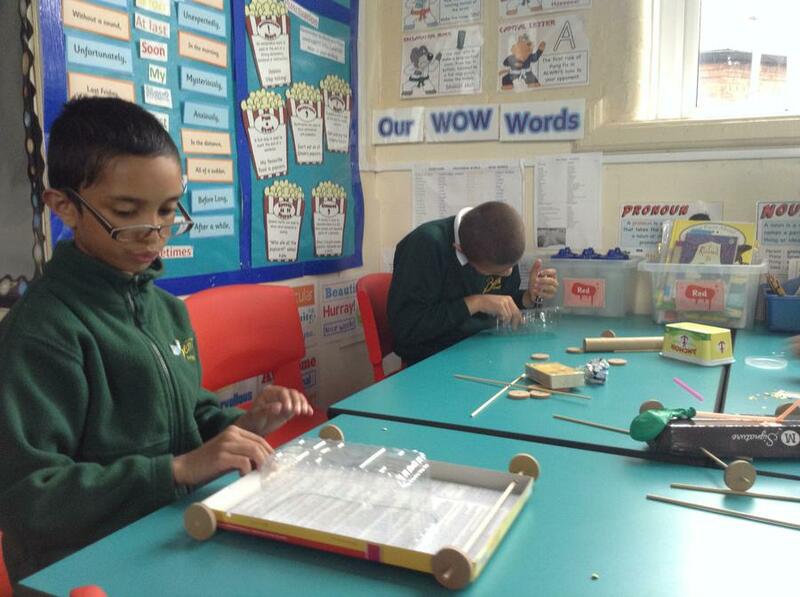 Everyone in Class 4 used recyclable materials to make a vehicle with four wheels. 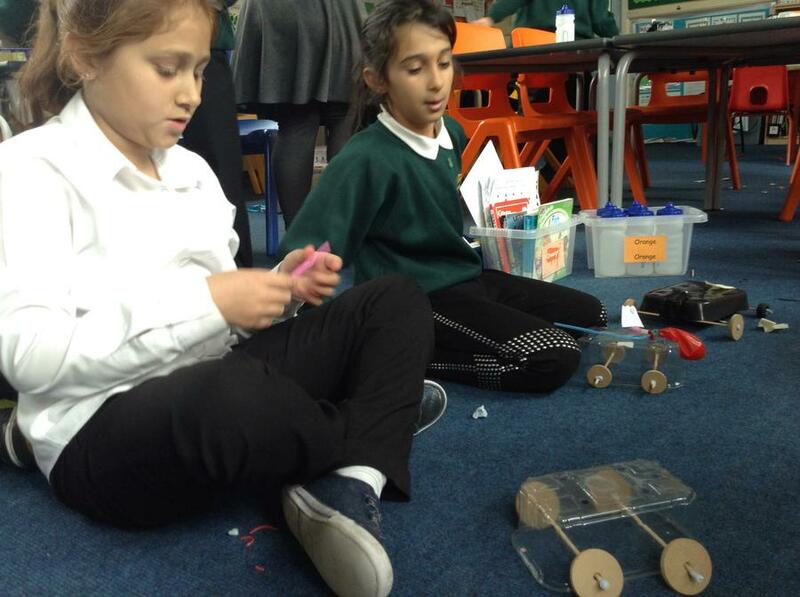 The vehicle had to be powered by air! 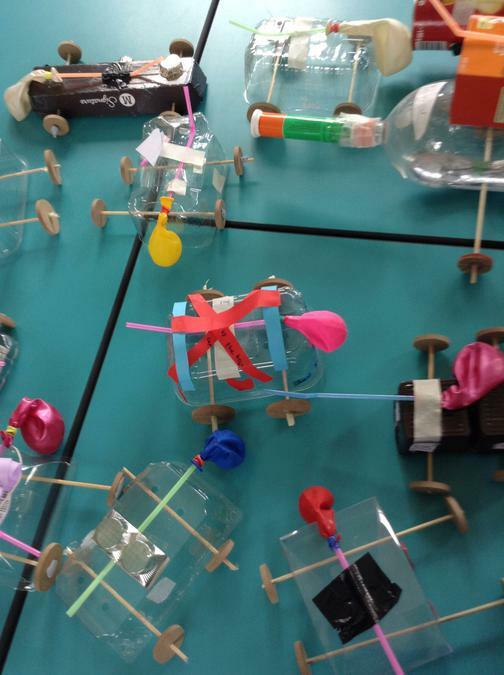 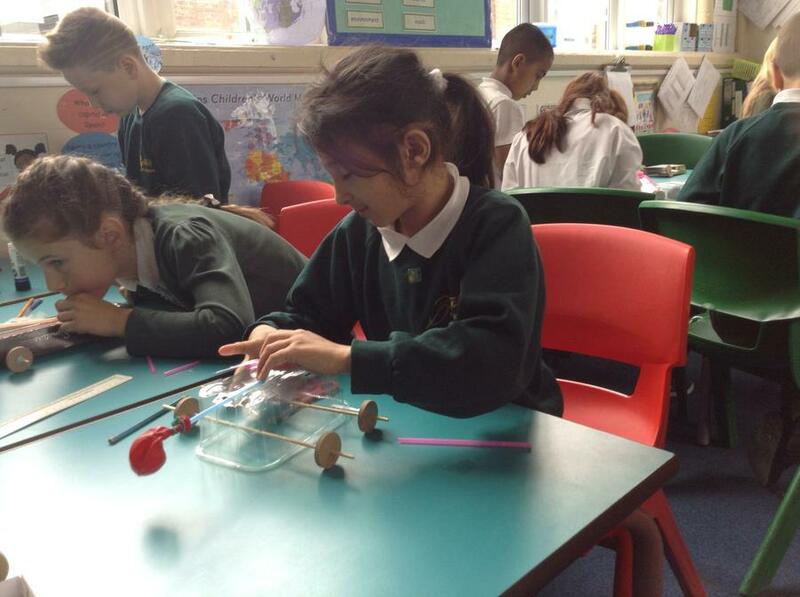 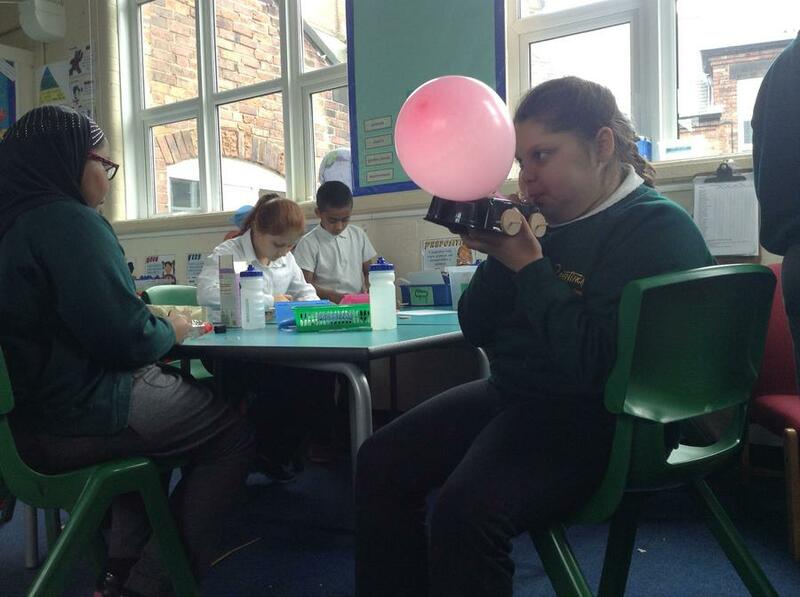 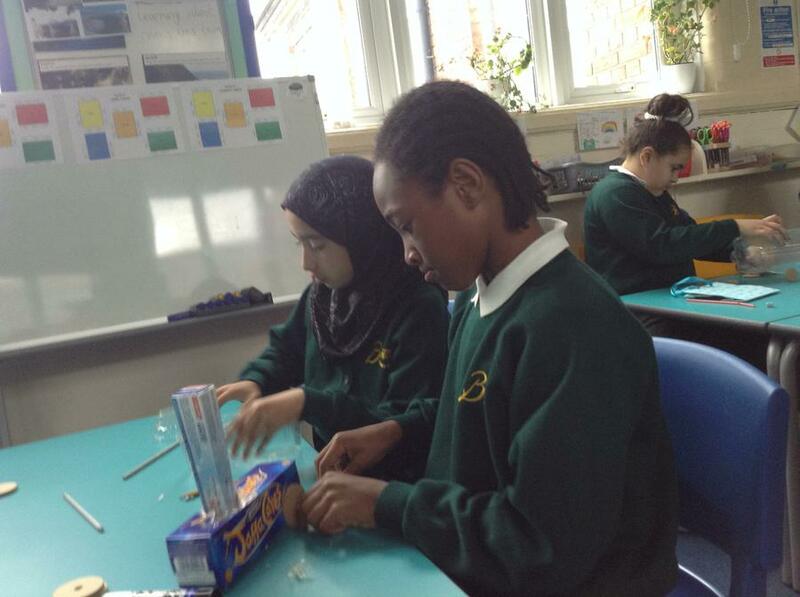 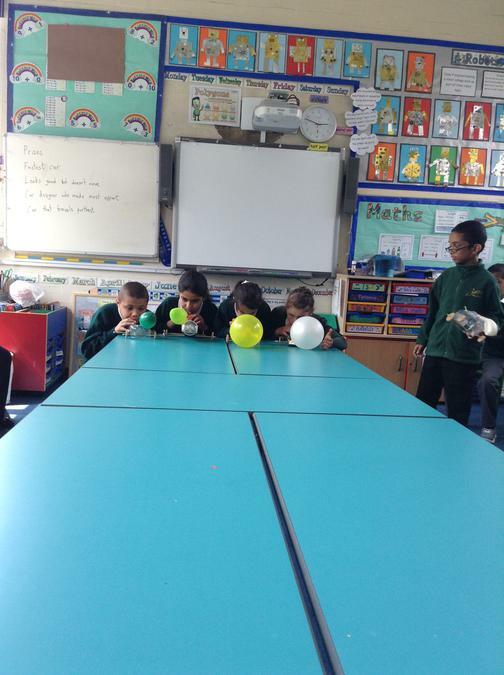 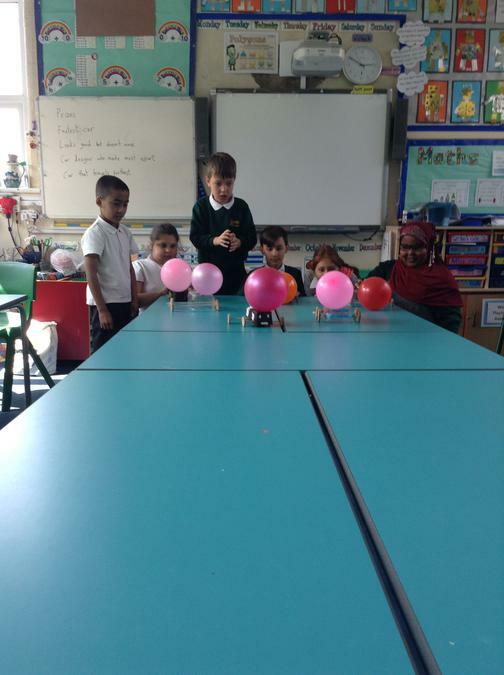 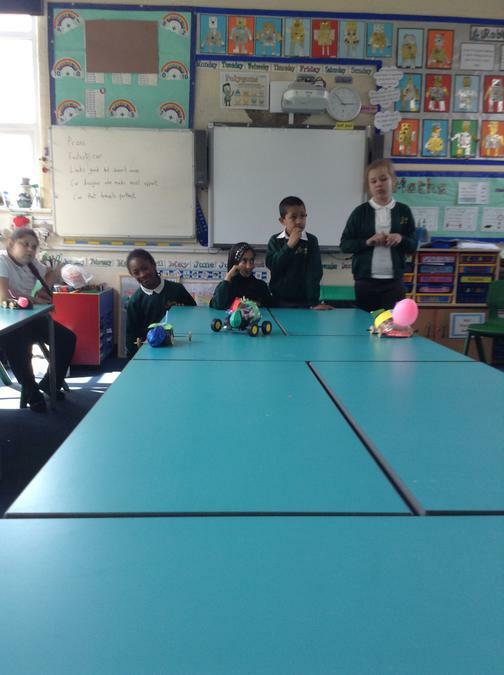 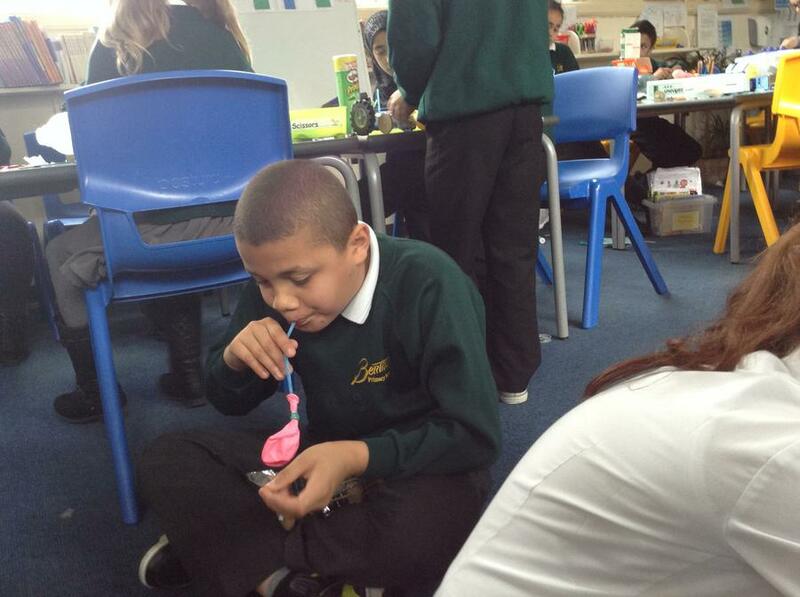 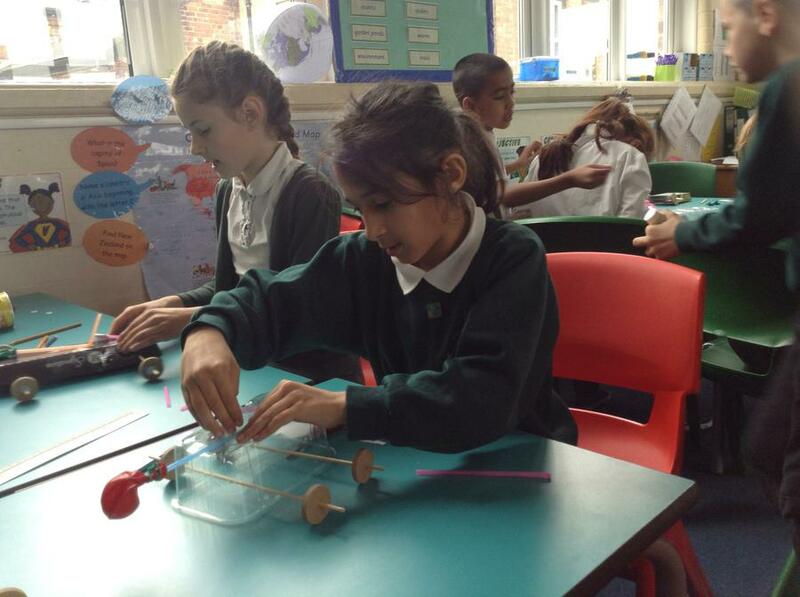 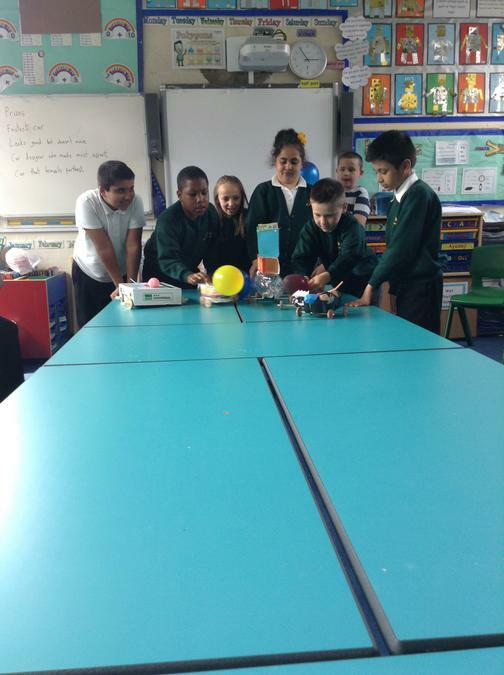 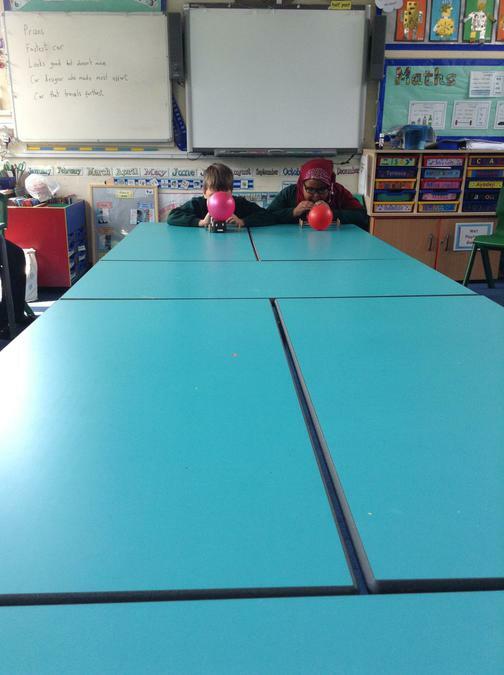 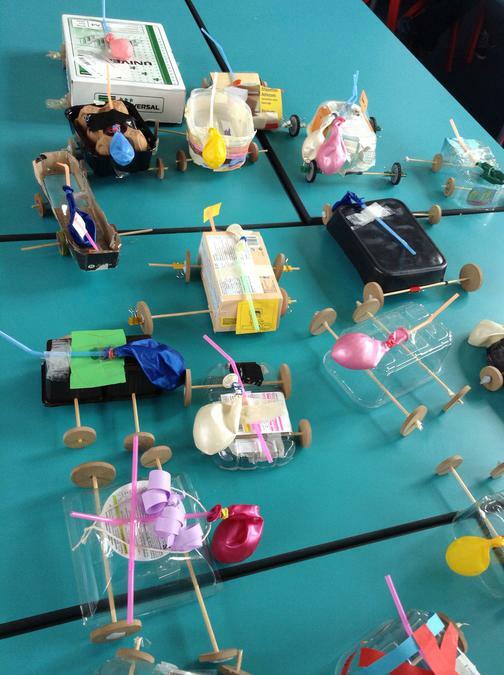 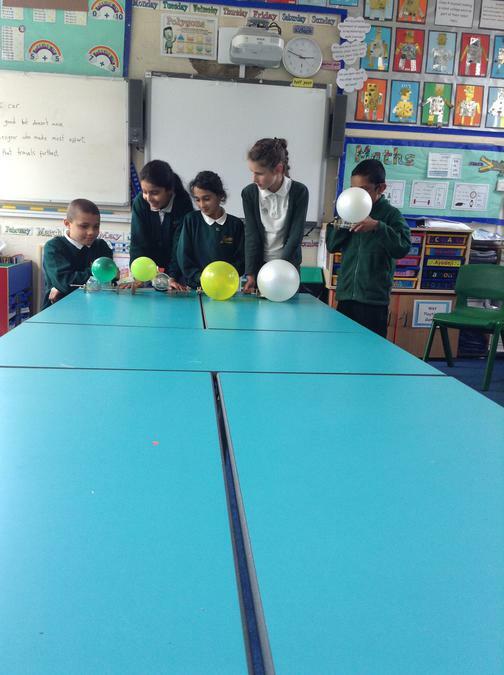 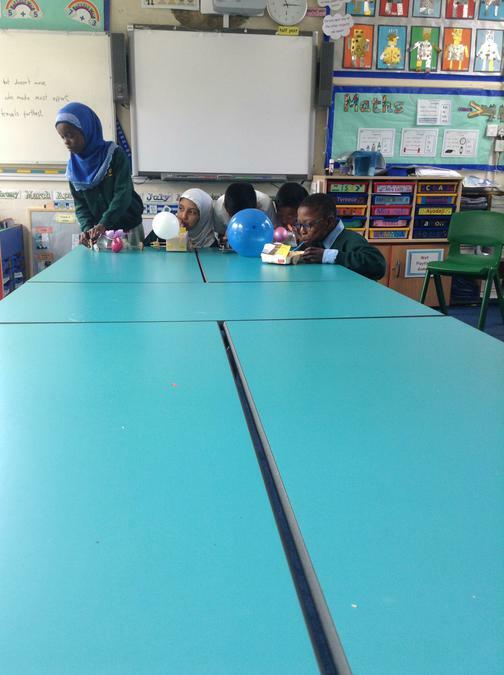 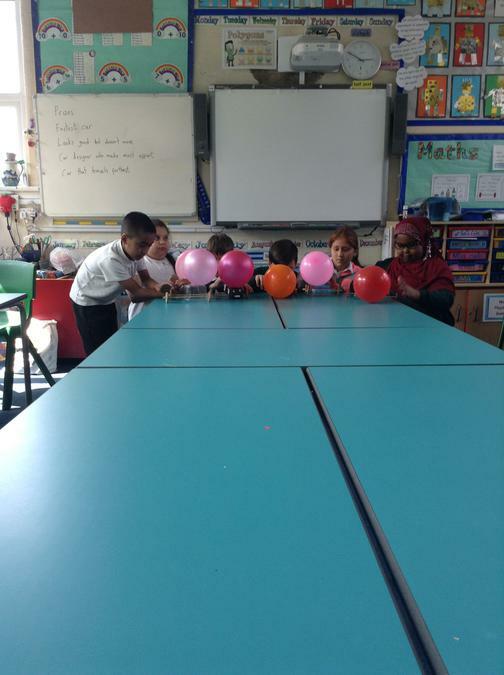 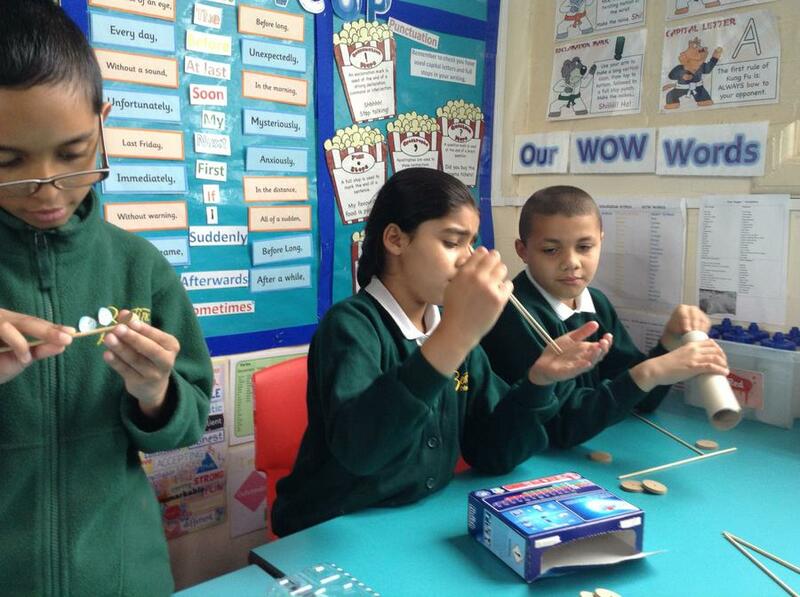 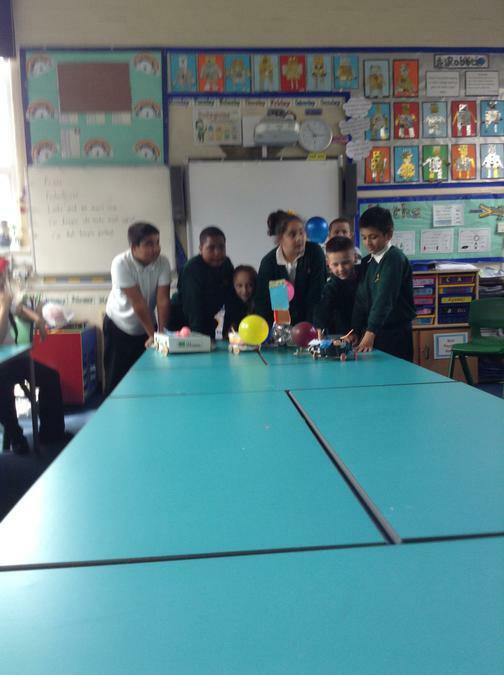 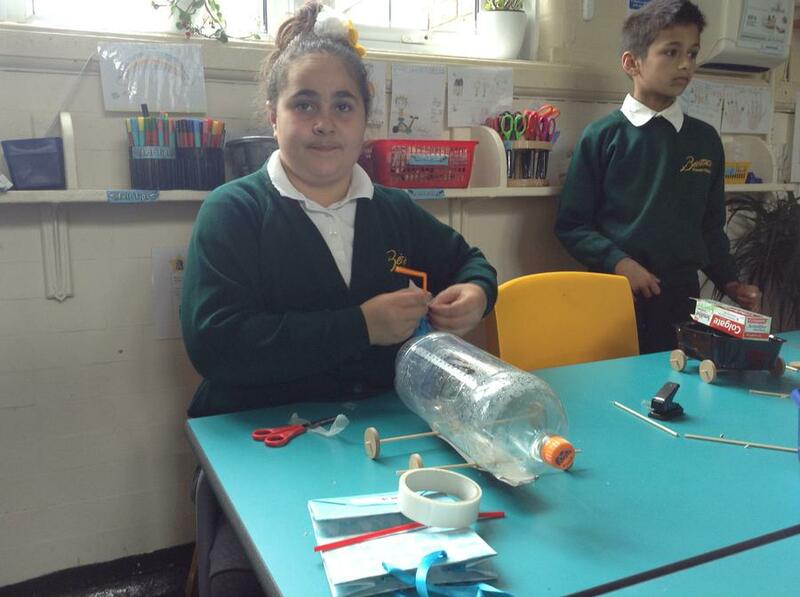 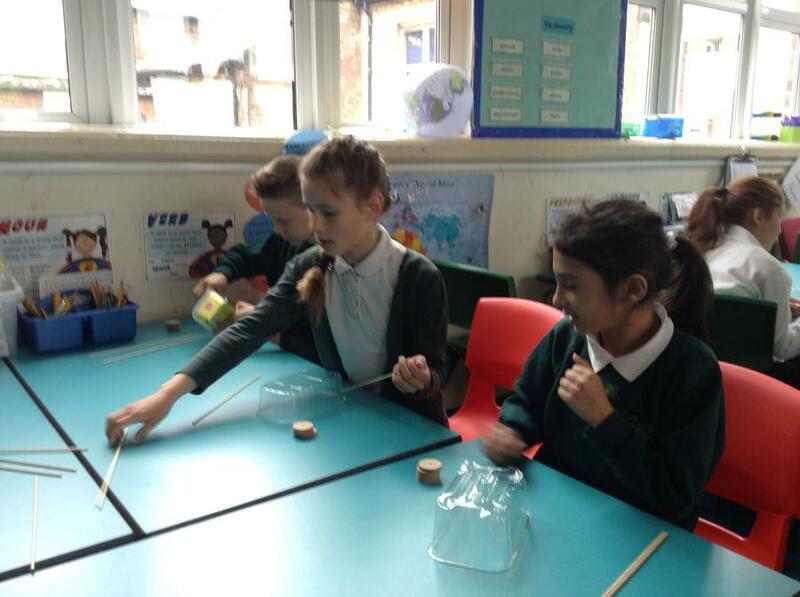 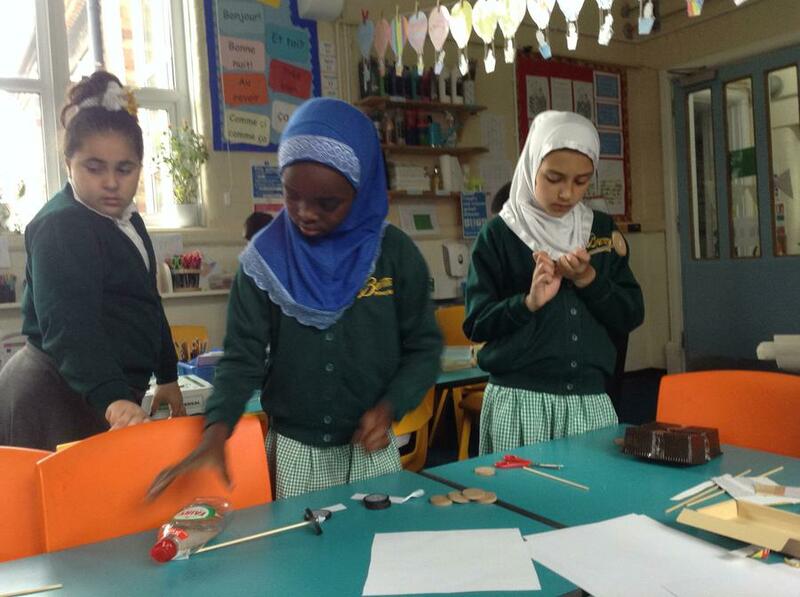 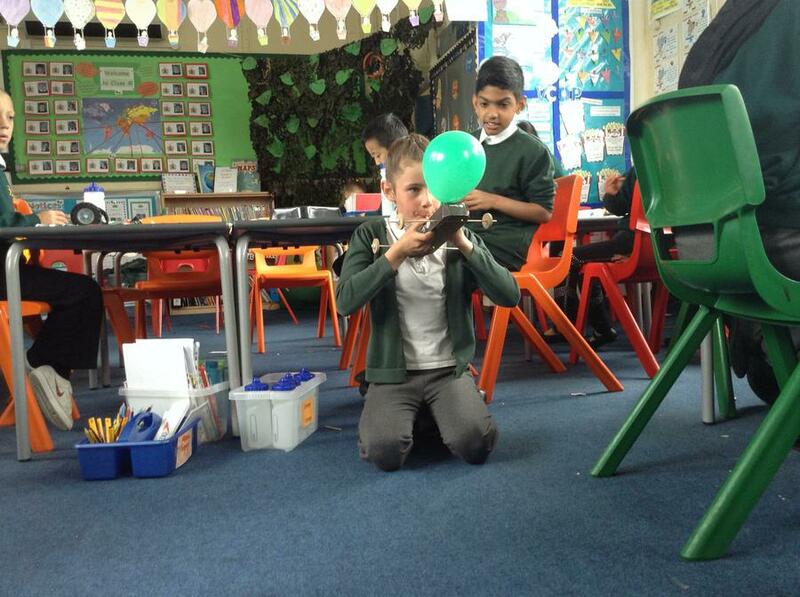 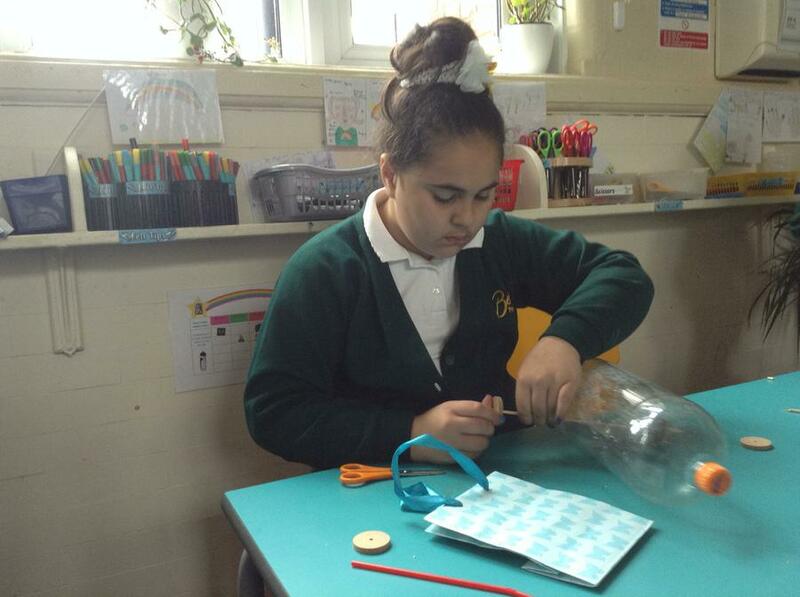 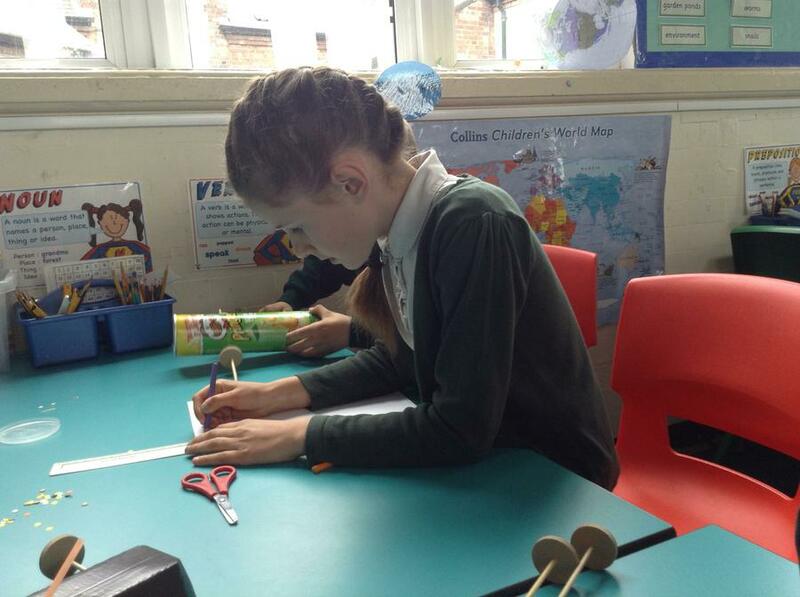 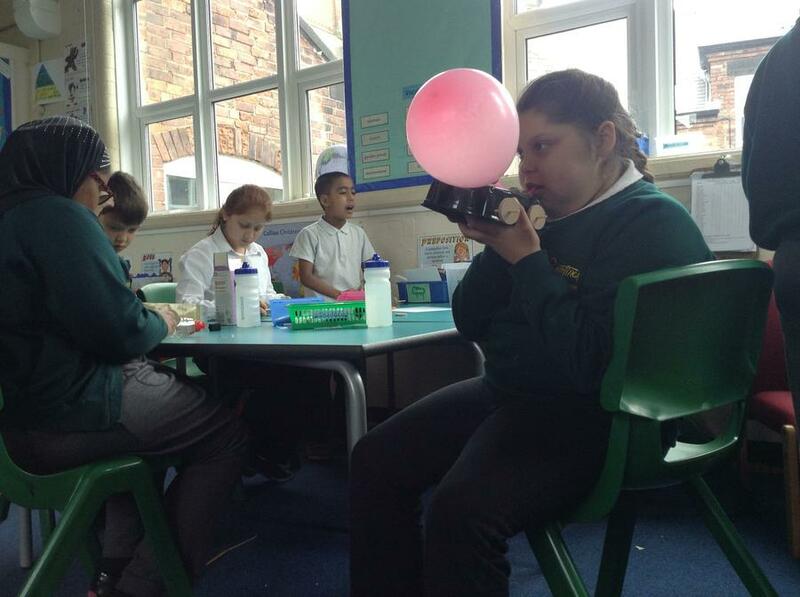 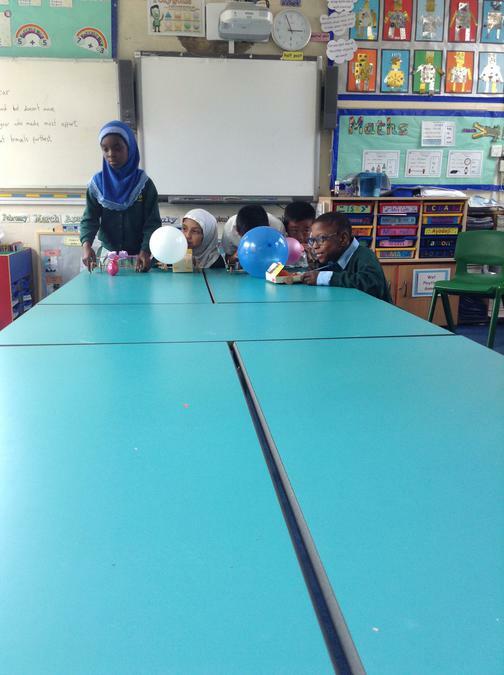 We all had great fun making them and modifying them so they would travel using balloon power. 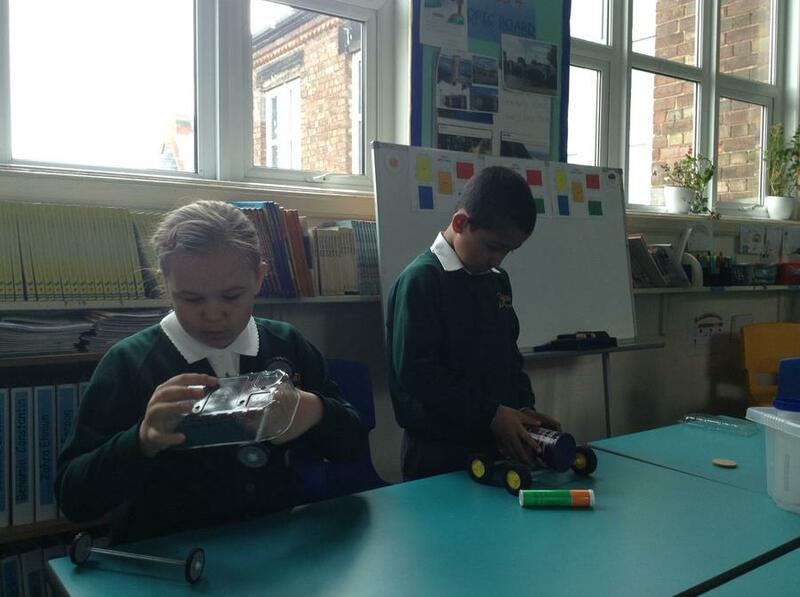 We had races when they were finished and children were awarded prizes for effort, design and speed!